These captivating historical novels will transport you around the globe and throughout time. Find even more historical fiction titles here. Caught in the crosshairs of the retreating German army and the advancing Russian forces, the village holds nothing but destruction and despair until a mysterious young woman offers a small glimmer of hope that may represent his last chance—news of a refuge train departing from a nearby town headed for American installations at the border. But complications arise when the resistance fighter is betrayed by his own countryman and hunted by German SS Officers who are determined to kill him before they retreat. Desperately searching for a home and family he can't remember he is persuaded to rescue two children who are doomed to die without his help. It is 1849—barely two years after the Saints' arrival in Utah—and missionaries are being sent out to preach the gospel to the world. One of them, Lorenzo Snow, is sent to Italy. He is led to the valleys of the Piedmont, where the Waldenese, followers of the reformer Peter Waldo, have been exiled and persecuted. There, Elder Snow and his two companions find both success and challenges. Hiking into the alpine mountains near the town of Torre Pellice, they are recognized by Madeleine Cardon, who had seen a vision of them bringing the gospel years earlier. Her family and others soon welcome the missionaries into their lives. 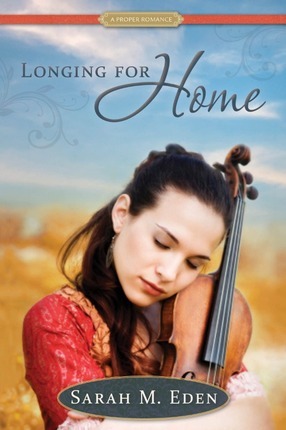 Madeleine's best friend, Albertina Guy, faces her own challenges as her heart is drawn to this new faith. Her family is Catholic; her great-uncle is a priest in the local monastery. Joining the Mormons could mean being expelled from her family. When Elder Snow heals her dying young brother with a priesthood blessing, Albertina and her family must reassess their feelings for these Mormon missionaries and the doctrine they preach. Based on the true story of the first LDS missionaries in Italy, One Candle shows the gospel of Jesus Christ changing lives and rolling forward "boldly, nobly, and independent" in the early days of the Restoration. Lenora Wilton has spent her life hiding behind the keys of her beloved pianoforte and the vibrancy of her younger sister, Cassie. But Lenora is ready for a change and travels to Bath to live with her Aunt Gwen and teach music at an all-girls boarding school. She is different in Bath more comfortable with herself and enjoys the freedom and independence of her new life there. When Lenora meets Aiden Asher, she finds herself attracted to him, but her unexpected feelings become more complicated when she learns that Catherine Lenora s newest and most troublesome student in the school is Mr. Asher's niece. Catherine is a difficult student, and Lenora works hard to make progress with the girl. 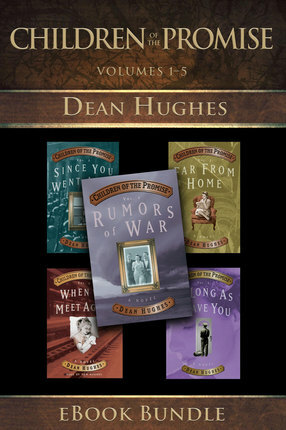 Volume 1: Rumors of War - The first volume opens in 1938 with Elder Alex Thomas and his companion serving in Germany. It soon becomes obvious that he will never complete his mission. 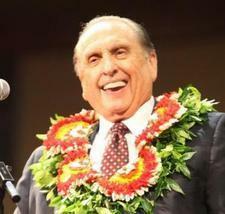 War is coming, and that will affect not only Elder Thomas but also his family back home in Salt Lake City. Volume 4: When We Meet Again - Following the Battle of the Bulge, Alex Thomas is reassigned — not without reluctance — to an intelligence unit in Germany. The new assignment challenges Alex's deepest moral values and is more life-threatening than combat. As a POW in Japan, Wally suffers torture that may only find relief in death, while Bobbi sorts out her true feelings when she runs into Professor David Stinson thousands of miles away from home. Follow the Steed family on their incredible journey from New York to the Salt Lake Valley. Author Gerald N. Lund here masterfully weaves together historical reality and high-powered fiction. In his hands this combination seems to make the reader an eyewitness to the early scenes of the Restoration, thus deepening one's understanding and appreciation of those momentous events. The well-drawn plot and fictional characters present a moving, gripping story. Here are Benjamin and Mary Ann Steed, devoted to each other as man and wife, yet at odds over religion; Joshua, their volatile son, who rebels and heads for trouble; the sensitive Nathan, their second son, in whom Joseph Smith's message strikes a responsive chord; the beautiful Lydia McBride, who captures the hearts of both Joshua and Nathan. Espionage— France, 1944: Nobody expects Peter Eddy to survive his first commando mission—to retrieve a code book stolen by the Nazis—so when he does come back alive his success is rewarded with an even more daunting assignment. Partnered with the French Resistance leader Jacques Olivier, Eddy must identify which of three Allied contacts in Calais is a double agent and use the traitor to help implement a strategic Allied diversion that might win the war. Eddy and Olivier secretly cross the English Channel to confront their suspects one at a time, but what appears to be a clean assignment soon turns disastrous, and a shocking betrayal leaves Eddy in the grip of the Gestapo. With the courageous aid of Olivier and his sister, Genevieve, Eddy evades his captors with a dangerous escape plan. But as the Allied invasion approaches, treachery in the least likely places leads to fresh graves in the bloodied European soil—and only the power of loyalty and love can transform tragic endings into new beginnings. Sworn Enemy— June 1944--As World War II rages, the people of Eastern Europe are hopelessly trapped between two formidable forces: Hitler’s Germany and Stalin’s Soviet Union. In their midst, a band of heroes works to defend against the inevitable Communist takeover. After narrowly escaping her Nazi captors, French Resistance worker Genevieve Olivier has fled to Allied territory with the help of American Lieutenant Peter Eddy. Their connection is undeniable, forged in the crucible of danger. But despite their blossoming feelings for each other, they must both finish the work they began . . .In the safety of England, Genevieve hopes to find purpose as a nurse—all the while unaware that the Gestapo still seeks the woman who slipped through their grasp. When she is called upon to resume a life of danger as a French spy, will her desire to prove herself be her downfall? 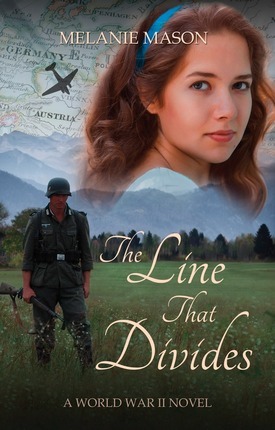 Deadly Alliance— Amidst the darkest days of WWII, will one star-crossed couple’s love survive? When Peter Eddy and his commando team inadvertently upset the Soviets during their most recent mission, they never imagined the diplomatic nightmares that would ensue. They have one chance to redeem themselves: tasked with destroying a bridge in Nazi-occupied Bosnia, Peter and his war-weary team reluctantly agree to drop behind enemy lines. The assignment should be a simple one—were it not for the fact that they are being deployed on a suicide mission. Genevieve Olivier is devastated by the news of Peter’s disappearance. After all they’ve endured in this war, the determined OSS worker is unwilling to simply let go of the man she hopes to spend her life with. Desperate for information, her work as a courier soon escalates into a counterintelligence duel with a Fascist assassin—and Genevieve is his newest target . . .
With boundaries clearly drawn by the horror of World War II, Austrian teenager Marianne Leichtner doesn't think about love. Returning from Germany, where she was forced to attend school as a linguist, she settles back into life in the countryside. The crash of an American B-17 bomber in the hills behind her family's home changes everything. Shortly following the accident, Marianne discovers Charlie and Sam, the only surviving crewmen from the plan, hiding in the barn. She decides to help them and is thrust into a world of danger and secrets. An unlikely friendship forms, and then the Nazis arrive. After a week of hiding the young men, Marianne is attacked by Lieutenant Herske, a Nazi officer, and is rescued by Charlie. She helps the Americans escape, but assumed the worst when she learns two Americans were killed trying to cross the border. As she pieces together her broken heart, Marianne decides the only way she can defy the Nazis is to join the Austrian resistance. To cross that line means discovering who she really is and what she is willing to do. Because of Charlie, she is willing to take the chance. When the war ends it seems impossible to return to normal life. But a miracle occurs, saving Marianne one more time. The roads in and out of Paris are heavily guarded, but the dead have easy passage out of the city. A ragged old woman transports the coffins of the most recent victims of the guillotine and is waved on unimpeded. Later, the same crone watches five French aristocrats step out of the coffins unscathed. not beheaded, but spirited away to safety by that most elusive of spies: the Pimpernel. Or, as she's known in polite society, Lady Scarlet Cavendish.